We strive to provide quality residential communities that encourage residents’ personal and professional growth and development. Lindenwood offers a wide variety of choices for students who opt to live on campus. Available are traditional style dorms and non-traditional, off-campus apartments and houses for upperclassman. You'll also enjoy exciting new meal options in the Lindenwood University dining halls. Residential Life gives students a chance to be involved, meet lifelong friends, and be a part of a supporting community, by encouraging students to participate in academic, athletic, and social activities. Lindenwood University views residential life as an opportunity to live with others of various ages, cultural backgrounds, and personal interests. 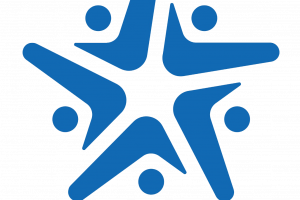 The 2019-2020 housing application is now available via the StarRez portal. During the summer, Lindenwood University offers housing only to students who are enrolled in summer classes. Students may only reside on campus during the time-frame of their classes. Housing availability is limited to resident halls during the summer. Due to staff restrictions, yearly maintenance, and upkeep in our residence halls, only one residence hall is open for all residents. The deadline to apply for summer housing is April 24, 2019. You can apply for summer housing via the "Summer 2019" application on StarRez. Research has shown that freshmen who reside on campus in residence halls are more successful in their collegiate experience than students who commute to campus. For this reason, Lindenwood University requires all incoming first-time full time freshmen (regardless of the amount of college credits earned while in high school) to reside in a designated freshmen resident hall for the academic year. Choice of housing is competitive and is assigned on a first-come first-serve basis. Students who do not wish to live on campus AND who fall into one of the categories mentioned above should complete and submit the exemption form, which can be found on the Residential Life homepage. Exemption appeals must be received in the Office of Residential Life by July 1st for the fall semester and December 1st for the spring semester. Students who do not qualify for an exemption as a member of one of the categories above may submit a written appeal to the Director of Residential Life. 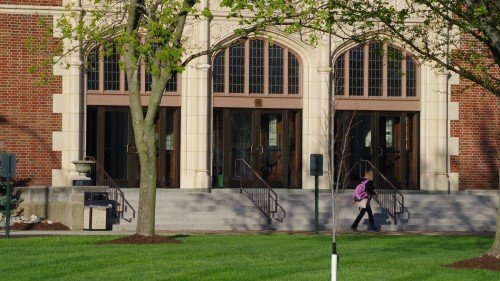 Incoming Freshman for the Fall 2019 term will be able to access the housing application on March 1, 2019. Emotional Support Animals that have been authorized by the Student Support and Accessibility Coordinator in the Student and Academic Support Services Office must be approved by November 1 for the spring semester and June 1 for the fall semester. Students who are not graduating and wish to stay on campus after noon on May 11 will need to fill out a Late Departure form. This form is due to the resident's Area Coordinator by April 24, 2019. The cost to stay on campus will be $35 per day or $230 per week. On-campus housing allows students to fully immerse themselves in the campus culture. 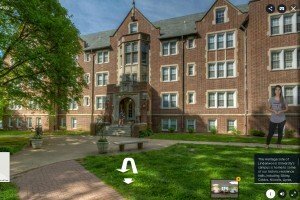 See for yourself using Lindenwood's Virtual Tour. Brittney is a Junior majoring in Early Childhood Special Education with pre-requisites for Occupational Therapy. She is a Community Advisor in Cobbs Hall. Brittney is very involved on campus, as she is a drum major in Marching Band, she plays clarinet in Symphonic Band, she is the Vice President of the Student Council for Exceptional Children, and she is in the Alpha Chi Honors Society. A fun fact about Brittney is that she loves painting, she typically pains portraits or flowers using oil paint or watercolors. 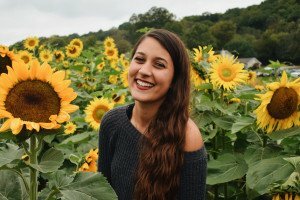 Brittney says, "My absolute favorite thing about working as a Community Advisor is making the dorm feel as though it is the residents’ home away from home through building a strong sense of community and providing a warm and positive living environment. Talking with the residents and learning about their life is so interesting and it is an opportunity to learn about so many different cultures, perspectives, and beliefs!" StarRez is an industry-leading and comprehensive student housing solution that includes: online housing applications, online roommate and room self-selection, roommate matching, social media outlets, and much more. 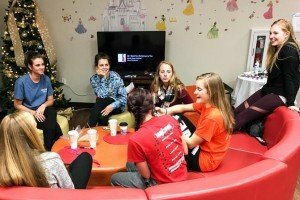 Lindenwood Residential Hall Association is a student-run university residence hall governing body that focuses on campus living. The organization is primarily focused on giving residents a greater voice to facilitate change in their halls.